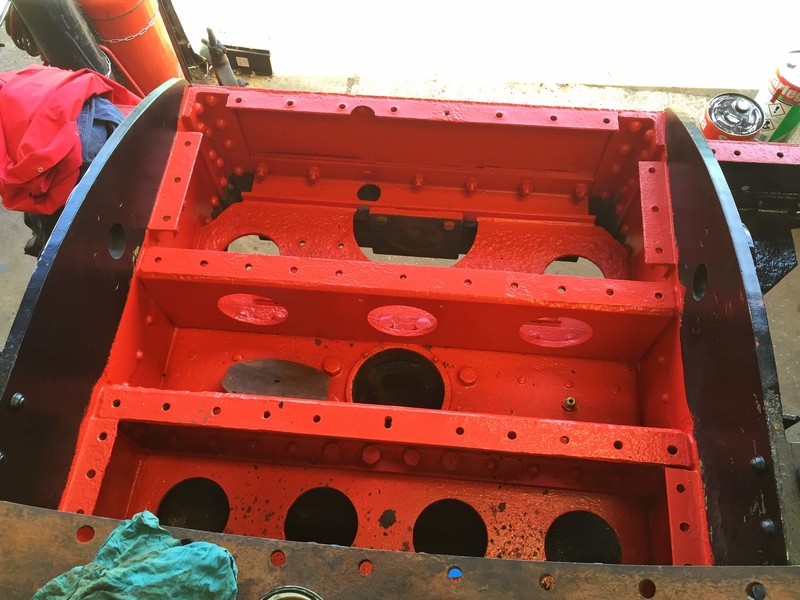 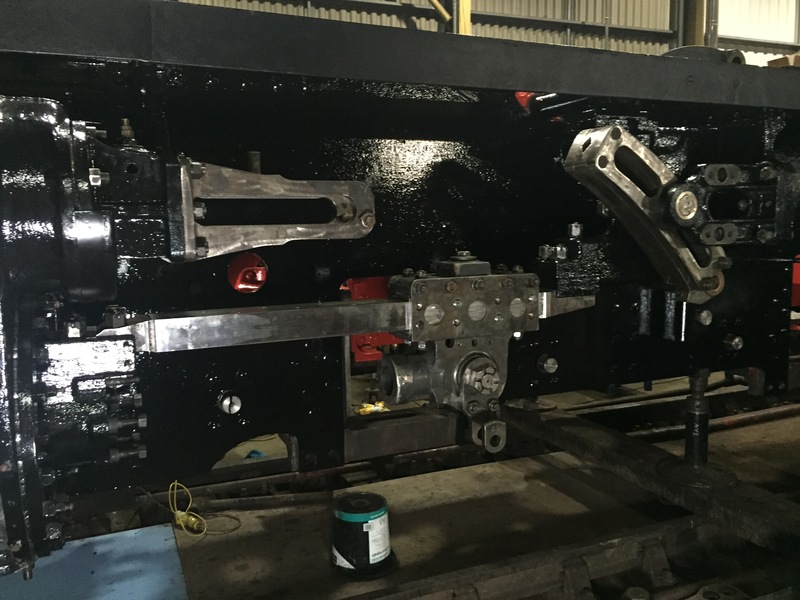 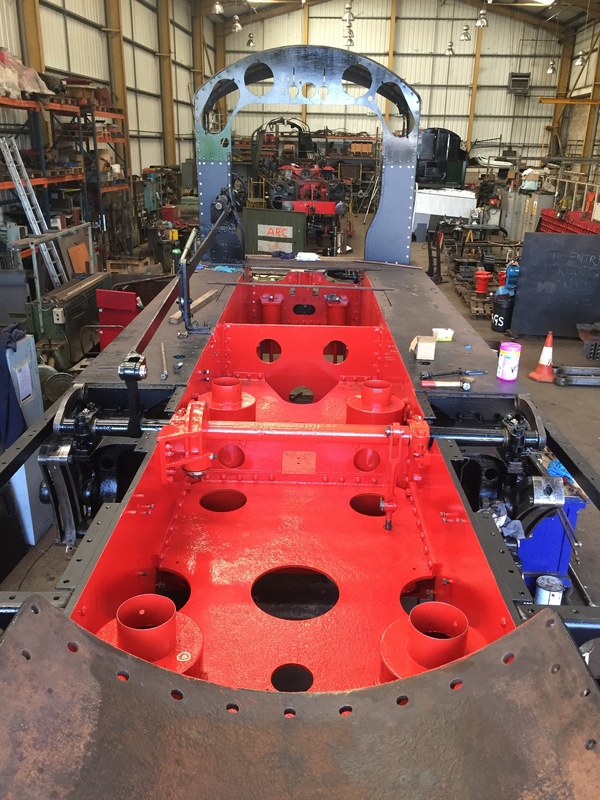 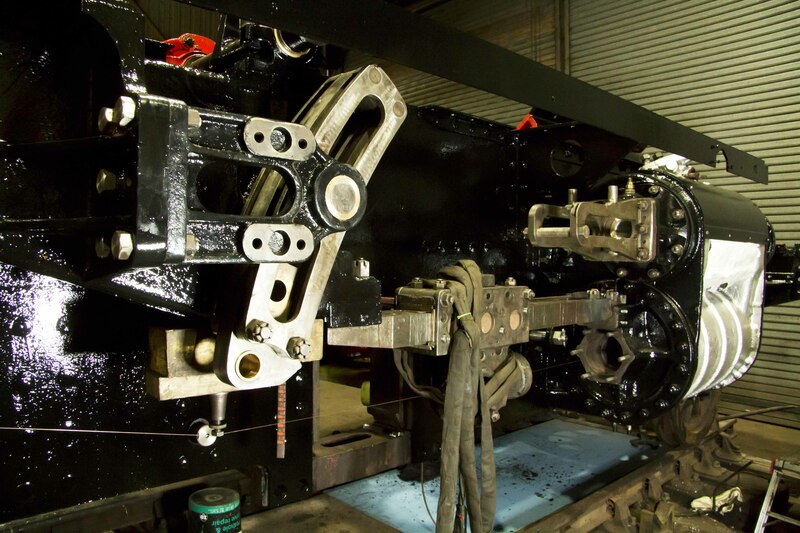 Whilst the boiler is being overhauled off site, work is progressing well on the overhaul of the chassis of N Class 31874 in our own Herston works. 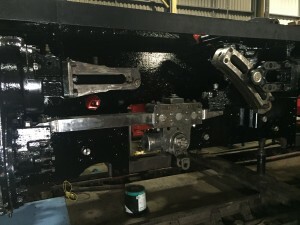 Up until now most of the work has concentrated on stripping, cleaning and painting components; but now work on reassembling the loco has begun. 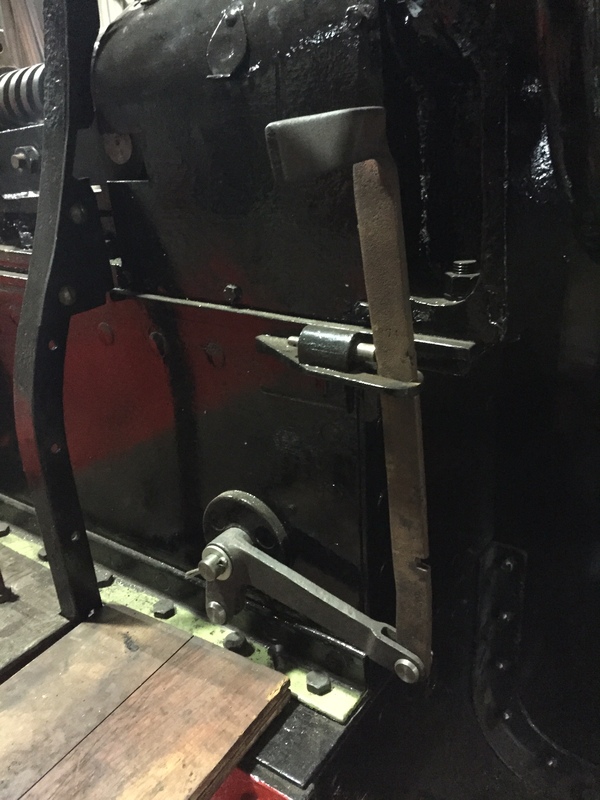 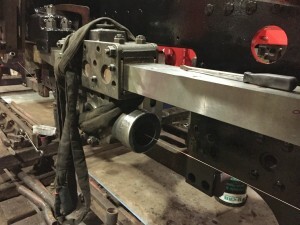 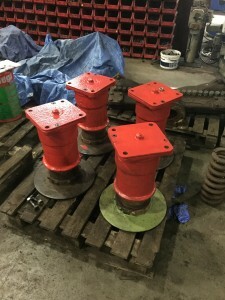 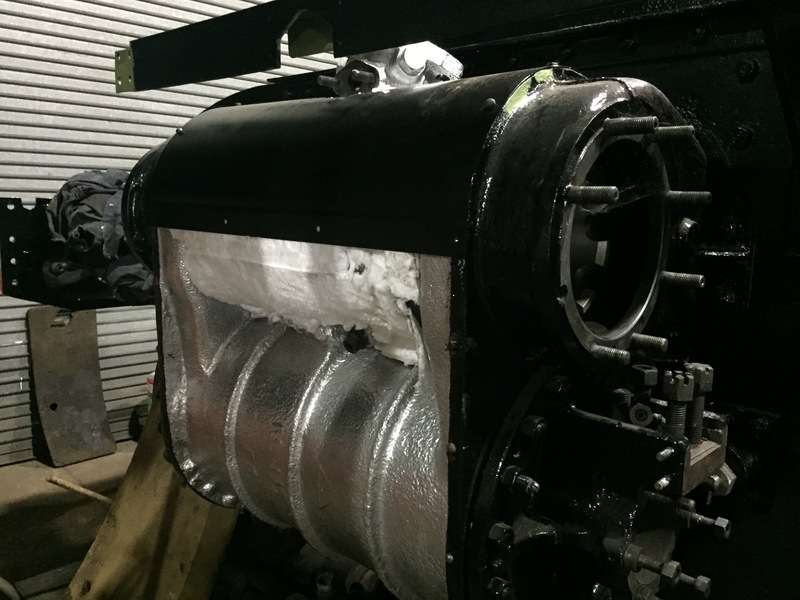 Recent progress includes refitting of rear valve covers, expansion links, slide bars and crossheads, the setting up of which to ensure correct alignment has now begun. 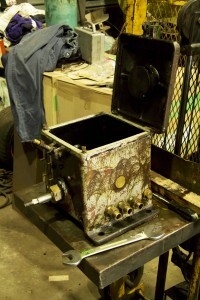 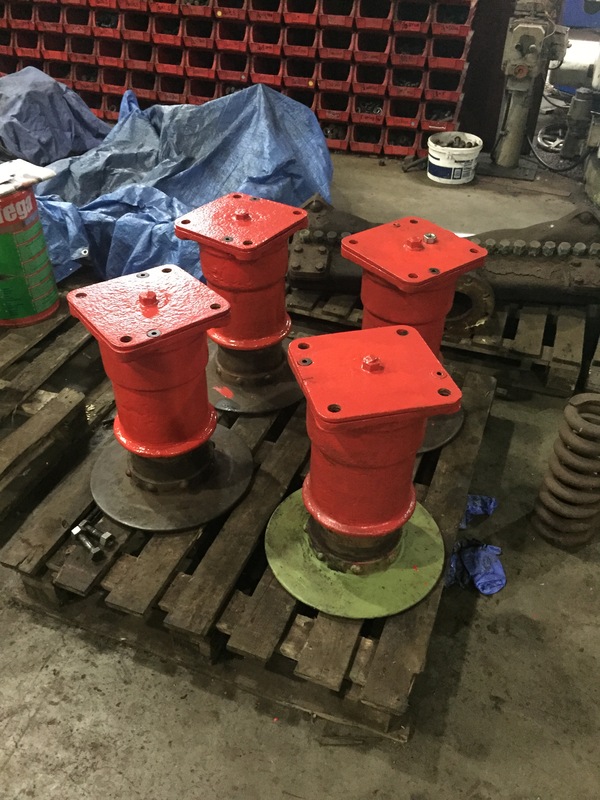 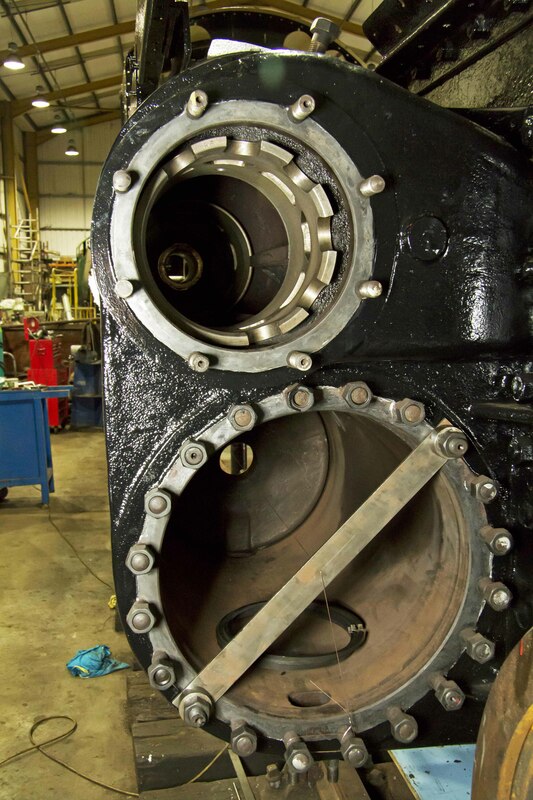 The lubricator is in the process of being stripped and cleaned, prior to all its components being inspected to see which bits need replacement. 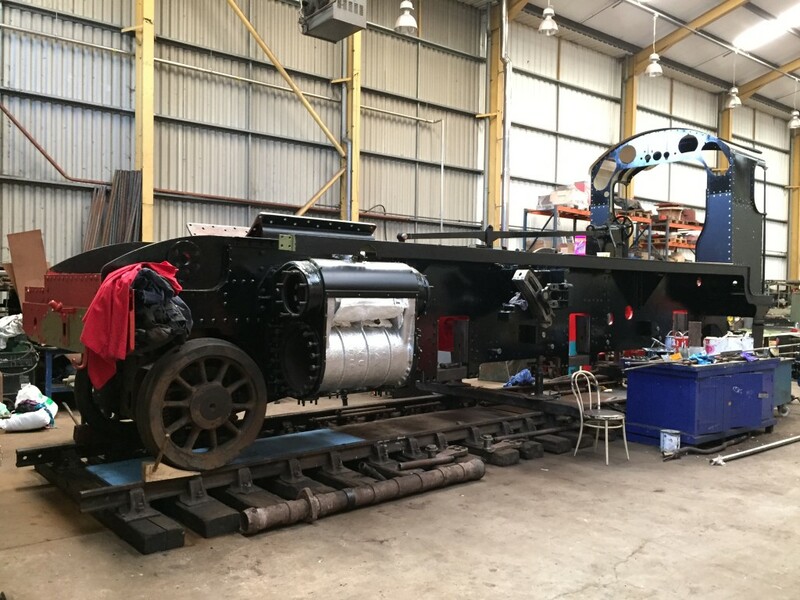 Cylinder lagging and cladding is being refitted, and will be completed once new valve chest drain pipes have been made and fitted. 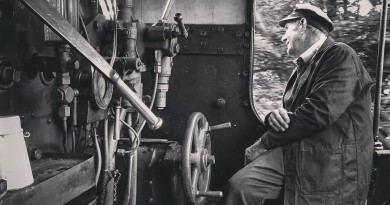 The buffers have been reassembled with brand new springs, which were replaced due to one of the old springs being broken. 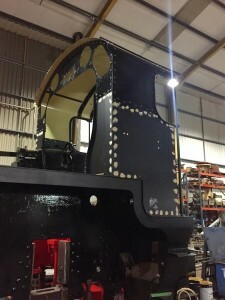 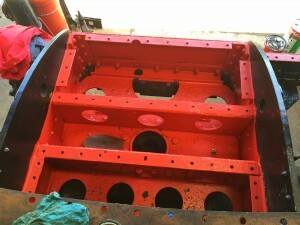 And finally, the cab is being prepped for final painting. 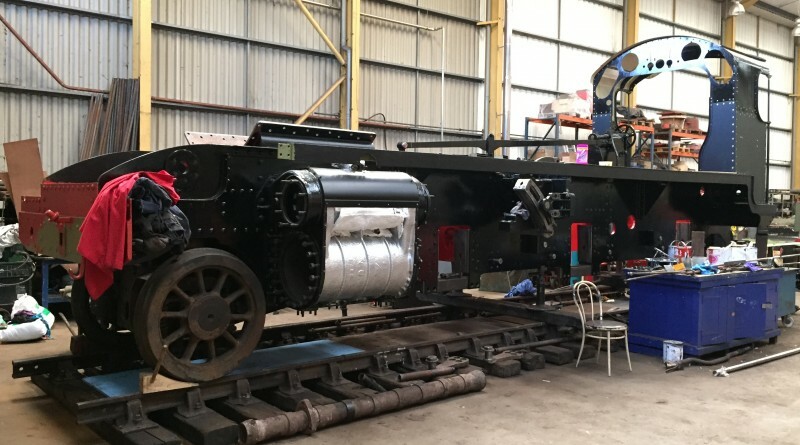 All of these things cost money, and unfortunately as you may have read elsewhere on this website, there is a shortfall in our funds to complete the overhaul. 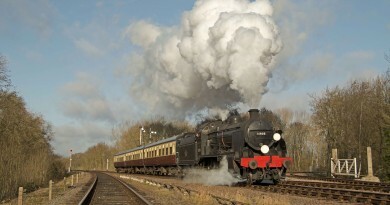 So if you feel you can help us at all, please click here to visit our donations page.